RSVP For Our KAMRA Seminar! Our aesthetic specialists at Clemson Eye are here to help treat the challenges that prevent us from looking and feeling our best. We deliver exceptional results with all FDA-approved products to treat those wrinkles, frown lines, blemishes, sagging, tone changes and dryness that can happen to our skin. We offer free skin care consultations and flexible scheduling at our multiple Upstate locations. Your skin care needs are tended to in a comfortable, elegant environment, where you will enjoy discrete, professional service, quick treatment times, excellent rewards, referral benefits – and a more confident, beautiful you. 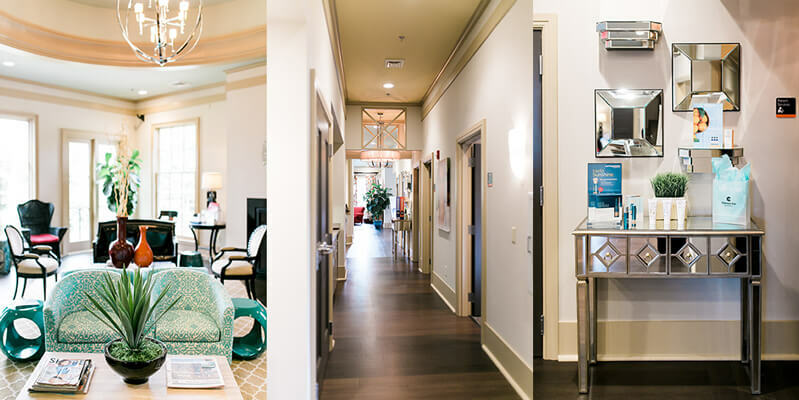 Take advantage of our expertise with a free consultation, by requesting an appointment online or calling our Aesthetics line at 864-622-5005 or our main line at 855‑654‑2020 toll‑free today. Our Aesthetics Team Joined WSPA 7 for Makeover Monday! Watch Shelley & Courtney, our Aesthetic Specialists, explain the Hydrafacial treatment! Learn our top five tips to spring cleaning your skin! Give the gift of vision, aesthetics or optical this year. What better gift idea than a gift card from Clemson Eye? Pick up yours at any of our locations or call 855‑654‑2020. For more information call 864-622-5005 today or click here to schedule an appointment. Clemson Eye has been serving Upstate South Carolina for over 40 years, with clinics in Anderson, Clemson, Easley and Greenville.